How VW veered off target in the U.S.
Volkswagen Group loses $828 million in North America, latest in string of deficits because of unfavorable euro-dollar exchange rates. U.S. sales of VW vehicles total 235,140 units. At Frankfurt auto show, Volkswagen of America chief Stefan Jacoby unveils new VW-brand strategy, with plans to build North American plant, challenge Toyota and Honda and sell 800,000 vehicles a year in U.S. by 2018. July: VW picks Chattanooga as site for VW plant to build Americanized Passat. Less-expensive, Mexico-made Jetta arrives. VW sales soar, but Jacoby leaves for Volvo, replaced by Jonathan Browning. March: Earthquake in Japan cripples Toyota, Honda production for months. April: Passat production begins in Chattanooga. December: VW sales jump to 324,402 vehicles for year as Japanese brands lose market share. VW begins expanding dealer network. Many dealers invest to expand, upgrade stores. Summer: Sales of midsize SUVs begin rising as American tastes shift. December: VW still on roll as U.S. sales for year reach 438,133. January: VW sets ambitious sales targets for dealers, prepares to start 3rd production shift in Chattanooga. Spring: Sales slump; dealers alarmed; Passats pile up outside plant. June: 3rd shift cut; 500 contract workers laid off. July: VW executives meet angry dealers in Washington, agree to lower sales targets. December: U.S. sales fall to 407,704 for year. Browning replaced by Michael Horn. Crossover decisions on hold, pending Chattanooga union vote. February: Chattanooga workers vote against UAW representation. June: VW announces midsize crossover will be built in Chattanooga. December: Still lacking SUV offerings, VW sales fall to 366,970 for year. At Detroit auto show, Horn announces 100 dealers will be added and midsize crossover will arrive in late 2017, followed by updated Tiguan, vows rapid growth for VW brand but declines to affirm 800,000-vehicle target. Editor's note: The American version of the Passat kept the independent rear suspension found in the European Passat. An earlier version of this story misstated that feature. DETROIT -- Volkswagen's ambitious U.S. sales goals, now drifting out of reach, once looked so tantalizingly close. Back in 2007, the automaker vowed to crank up U.S. sales of its VW brand to 800,000 vehicles a year by 2018. It was a dizzying sum, requiring more than a tripling of its volume at that time. Many in the industry scoffed. But with steady precision, VW got the skeptics to take a second look. It launched a lower-priced, Mexico-made Jetta and built a plant in Chattanooga, Tennessee, that began churning out a new Passat that better fit American tastes and budgets. VW sales doubled between 2009 and 2012, to nearly 440,000, lifting hopes that 800,000 was doable. "It was amazing," said Wade Walker, owner of a VW store near Montpelier, Vermont, recalling those heady days. "It was a magic mix. The dealers were excited. Customers were flocking to the vehicles." Today, the magic is gone. Competition has heated up, the Jetta and Passat have cooled off, and with back-to-back yearly declines, VW has missed out on a key boom period in U.S. auto sales -- a sore spot with dealers who made big bets on sustained sales growth. In 2014, VW sold 366,970 vehicles, not far ahead of where it was in 2011. Few people outside VW believe the company still has a chance to get to 800,000 vehicles in the original time frame. The target, says Jessica Caldwell, a senior analyst at Edmunds.com, "is beyond lofty at this point." VW, for its part, has had to recalibrate its message, if not its target. From the beginning, the 800,000-vehicle target for the VW brand was part of a larger goal at Volkswagen Group of America to sell 1 million cars a year in the U.S. by 2018, with the remainder coming from Audi and its other luxury marques. Audi is on pace to pass the 200,000 mark this year. At the Detroit auto show this month, Volkswagen Group CEO Martin Winterkorn reaffirmed the million-vehicle figure, but he and other executives declined to say whether VW's portion would be less than 800,000 vehicles. To hit the goal, Caldwell noted, VW will have to increase sales by 100,000 vehicles in each of the next four years, a monumental task in the hypercompetitive U.S. market. "How they're going to do it is a mystery," Caldwell said. VW's ambitious U.S. auto sales goal sprang from a crisis. In the early to mid-2000s, the combination of a strong euro and weak dollar was killing the company's North American business. At the time, the VW brand was selling about 300,000 cars a year in the U.S. Most were imported from Germany and were unprofitable. In 2006, Volkswagen Group reported an $828 million loss in North America, mainly because of the exchange rates. The proposed solution: volume -- big volume. VW had been a niche brand in the U.S., positioned as "affordable German engineering" -- less pricey than the German luxury brands but more upmarket than volume players such as Toyota, Honda, Ford and Chevy. Executives in Wolfsburg calculated that they could strip cost out of their overengineered German cars, build them in North America and go head-to-head with Toyota and Honda. At the 2007 Frankfurt auto show, the details were laid out by Stefan Jacoby, then head of U.S. operations. A locally produced Passat would become a "Camry fighter," and the VW brand would become America's "intelligent alternative" to the Japanese and Korean carmakers, he declared. By 2018, VW would sell 800,000 cars a year in the U.S., Jacoby vowed. SUVs were supposed to be part of the plan. In 2008, VW added the compact Tiguan to its U.S. lineup, but it was a product of the old system, designed for Europe and exported from Germany. A second, midsize SUV made in North America was to follow. In 2010, the new Mexico-made Jetta arrived. Gone was the rear-link suspension that VW fans loved. But the car was priced almost $2,000 less than the previous generation, and American buyers came running. That year, the first full year after a punishing global recession, VW sales jumped 20 percent to 256,830 vehicles. The Chattanooga plant opened in 2011, and the American Passat hit the road. It kept the independent rear suspension found in the European Passat, but like the Jetta, it was stripped of other features and components. Hard plastic turned up in the interior. But with a price tag about $8,000 less than the outgoing made-in-Germany version, it proved a hit. Meanwhile, the competition was on its heels. Toyota became embroiled in the floor-mat recall and sudden-acceleration mess, which dinged its reputation for quality. In 2011, an earthquake and tsunami devastated Japan, putting Honda and Toyota plants out of commission for months and leaving their U.S. dealers with few cars to sell. Hyundai was enjoying rising sales but soon would run short of production capacity, limiting its growth. VW also had a setback: In the fall of 2010, Jacoby, a German who had the ear of Volkswagen's bosses in Wolfsburg, left to take over Volvo. He was replaced by Jonathan Browning, a Briton. But the change hardly damped the enthusiasm for VW. Americans looking for relief from $4-a-gallon gasoline snapped up Jettas and Passats. 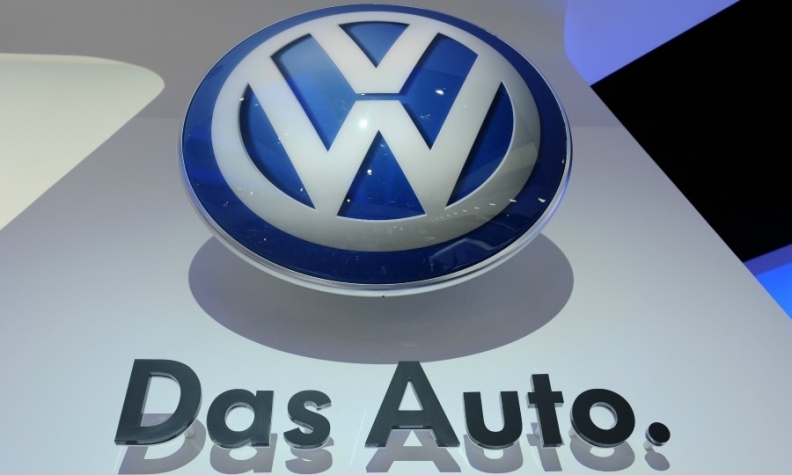 Headlines proclaimed VW the hottest auto brand in the U.S. Expecting the growth to continue, dealers invested in bigger, better showrooms and service areas. In Florida, megadealer Rick Case built a palatial VW store. Galpin Motors opened a VW store near Los Angeles. AutoNation Inc. acquired three VW stores. "Back then, people had reason to be very bullish on the VW brand," said Mike Jackson, AutoNation's CEO. In 2011, with Toyota and Honda crippled, VW-brand sales leaped to 324,402 vehicles. The following year, with the U.S.-made Passat in the lineup, sales jumped an astounding 35 percent, to 438,133 vehicles. As unlikely as it once appeared, the goal of 800,000 cars a year seemed attainable, even with the Germany-made Tiguan underperforming. VW opened 2013 by showing an SUV-like crossover concept, called the CrossBlue, at the Detroit auto show, and its U.S. executives prepared to hit the gas on the U.S. operation. The company hired 500 contract workers in Chattanooga so the plant could run three shifts for the Passat. Browning and other VW executives gave dealers aggressive 2013 sales targets, believing torrid growth would continue. But the U.S. market was in flux. No longer shocked by high gasoline prices, Americans began turning away from passenger cars and gravitating toward SUVs and crossovers, frustrating VW dealers, who had just the Tiguan and premium-priced Touareg to offer. At the same time, Toyota and Honda recovered their competitive footing and Ford's redesigned Fusion put a Detroit model back in the thick of the competition among midsize sedans. Volkswagen "put us in a tough position by having a product drought for a couple years and adding more dealers when we thought we were heading for 800,000" in sales, Matt Welch of Auburn Volkswagen near Seattle said recently. Then things got worse. With the VW brand's global profits slumping, the work of turning the CrossBlue concept into a production vehicle bogged down, and the launch of a production model remained uncertain. "With CrossBlue, we found we needed to do more work. We had to improve it," Michael Horn, now CEO of Volkswagen Group of America, said this month at the Detroit show. In July 2013, U.S. dealers converged on Washington for a contentious meeting with VW executives, who tried to soothe frayed nerves by slashing sales goals for the remainder of the year. At that time, the UAW was intensifying a push to organize the Chattanooga plant, setting up a showdown with Tennessee government officials who were unwilling to shower incentives on a UAW shop. In Germany, the labor representatives on Volkswagen's supervisory board put key decisions on the midsize crossover on hold until the unionization matter was settled. VW, the hottest brand in the U.S. the year before, closed 2013 with a thud. While the U.S. market grew 8 percent, VW sales fell almost 7 percent, to 407,704. Browning was ousted, replaced by Horn, a German. In February 2014, Chattanooga workers voted narrowly against the UAW, and VW was cleared to move ahead with its crossover plans. Chattanooga got the nod. Still, VW sales continued to slip. The overall market grew 6 percent in 2014, but VW sales fell 10 percent, fueling further skepticism at this year's Detroit auto show about the 800,000-unit goal. "Not going to happen," said AutoNation's Jackson. VW executives insist that it's still full speed ahead, emphasizing the brand's path to revived sales growth rather than the numerical target. Horn announced VW will add 100 more dealers through 2018 and said the Chattanooga-built midsize crossover will arrive in the first quarter of 2017, followed by a longer, North America-made Tiguan in the second quarter of that year. VW will never get to its target "if we don't get into these core segments," Horn said. "VW is sometimes late, but we are very strong."